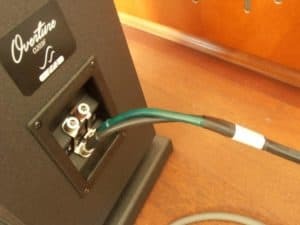 Six weeks ago I published a review on a Power cord and a pair of Interconnect cables made by Perkune audiophile cables in Vilnius, Lithuania. 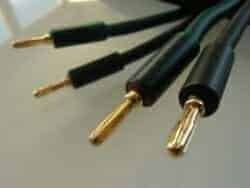 I must admit these cables had given me a very good impression and were a great addition to my main hi-fi system as I am now using the speaker cable and power cord. I was more than happy to review the Perkune three-meter loudspeaker cable that Mr. Paul Goodwin (living and working in Lithuania) proposed to send. Paul gave the consignment to the post office in Vilnius and a few days later, I received at the post office in Gdynia. This Perkune speaker cable is the highest series in the Audiophile Range and is three meters in length. Paul Goodwin believes three meters is the optimal length for speaker cables. The cables are directional and are fitted with gold-plated connectors either banana or spade.The cables are very solid and well made. They are quite flexible and not tooheavy. They look very good and certainly are a professional product and not a DIY product. Mr. Goodwin ensures me that contrary to other cables on the market, the Perkune audiophile cables will allow you to hear the full sound as soon as they warm up because they are given a full burn in and an antistatic treatment before shipping. I connected the Perkune audiophile speaker cables between the AudioSolutions O203F Overture speakers, the sister gowany amplifier, and The Audia Flight FL.Three S amplifier and this was so I could change from the Hegel H160 and Dayens Ecstasy III. I fitted the tube amplifier Fizz audio Silver Luna and the transistor Pioneer A-70DA. The speakers remained the same for all the testing and were Lithuanian Overture O203F. 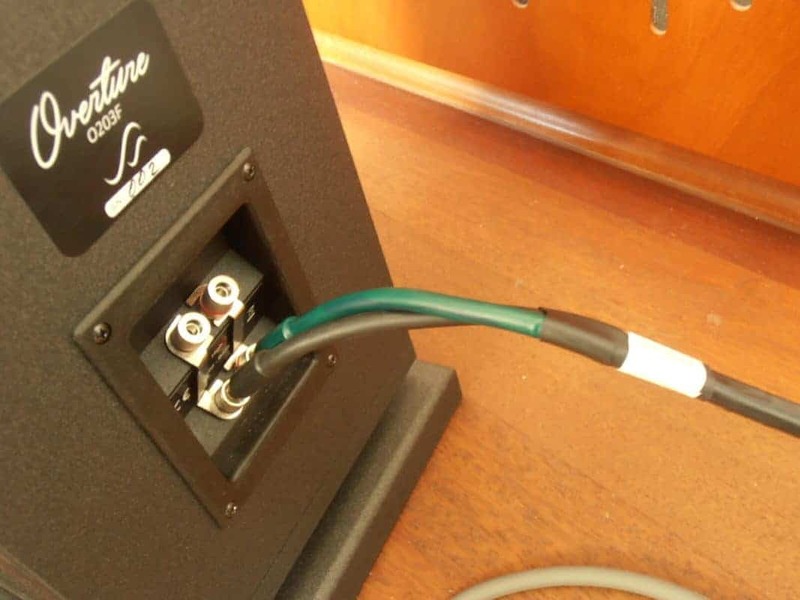 The Perkune Audiophile speaker cable is simply the optimal signal transmission studio quality cables. They are showing 100% truth and nothing but the truth. You can read in various reviews that sometimes cables add the lowest bass or lite up the treble but this does not affect the very essence of the sound. Thanks to the transparency of the Perkune loudspeaker cables, they are capable of showing the complete sound coming from the source. This is the true sound, as it has been produced by the amplifier. Not colored, not flavored, not modulated but immaculate and neutral which isa very big advantage from these Lithuanian cables. A few words about ratings, because I certainly want you to know which amplifier works the best with these cables. Perkune audiophile cables prefer to be fed from a distribution amplifier that is highly analytical and fast. In this regard, the tube amplifiers ( Fezz audio, Silver Luna, and CAYIN CS-55A) did not have the same qualities. I think this speaker cable deserves a solid state amplifier in the vicinity of 8,000 – 10,000 PLN or even higher. The Japanese Pioneer A-70DA amplifier, which is ultra-fast and very neutral, in conjunction with Perkune audiophile cables gave an amazing sound that showed acceleration, magnification, and momentum. With the combination of an organic, colorful amplifier like the Audia Flight FL Three S and the Dayens Ecstasy III, the result was a highlighted color, underline flash treble, and a much bigger sound stage. I do not wish to write that before the cables were added it was wrong and not impossible to hear because it was not. However, with the addition of the Perkune cables revealed the best characteristics of these amplifiers, their potential, to energize and lift restrictions. Yes, there were big changes and actually audible, moving in the right direction of the sound. The amplifier Hegel H160 is a very high caliber amplifier with excellent dynamics and a beautiful rich full sound. All tones are full, with a high mass density and weight to the sound. However, it is a highly proportional amplifier with no tonal overload but has balance. After the addition of the Lithuanian cables, the sound volume grew, and became more powerful, although saturation gained in weight and the weight of the sound was clearer in structure and composition. You can write that the Speaker Cables are spectacularly neutral and objective squared. They showed the best qualities of the amplifier Hegel H160. Speakers: Triangle Esprit Antal EZ, Vienna Acoustics Mozart Grand, Polk Audio RTi A7, AudioSolutions Overture O203F, Zing Zero Bookshelf, Zing Client Nano Sub Guru Audio Junior, Taga Harmony Platinum One and Studio 16 Hertz. Canto Three SE. Digital sources: CD Musical Fidelity A1 CD PRO CD / Audio Analogue Fortissimo. DAC: Audio Analogue Vivace and NuForce Air DAC. Turntables: Clearaudio Emotion insert Goldring Legacy and Pioneer PLX-1000 insert Goldring 1042 and Ortofon 2M Red. Phono preamps: IFI Phono, Primare R32, Sonus Oliva and Ri-Audio PH-1. Cassette: Cassette Deck Nakamichi 1. Mini system Pioneer P1-K. Headphones: RHA MA750, Final Audio Design Adagio V, Final Audio Design Pandora Hope VI, Oppo PM-3 and AKG K545. Headphone Amplifiers: CAYIN C6, C6 CAYIN DAC, Divaldi AMP-01 and Taga Harmony HTA-700B. Cables: Laboratory Audiomica series Red and Gray, the DC-Components and Harmonix CI-230 Mark II. KBL Sound power cord fluid. Power cord and RCA interconnects Perkune. Speaker cables Speaker Cardas 101, Melodika Brown Sugar BSC 2450 and Taga Harmony Platinum-18. Accessories: a base under the turntable is Rogoz Audio 3SG40, the base of the speaker Rogoz Audio 4QB80, interest vibration Rogoz Audio bw40, cabinet audio Solid-Tech Radius Duo 3 and mat pickups Harmonix TU -800EXi. Plugs RCA jacks Seven rods. .My summary will be brief. The Perkune audiophile speaker cables are just Phenomenal. They allow natural and clean musical sound. They also reveal the full energy and dynamics. They are as transparent as crystal. They offer superior sound and I recommend them 100%. 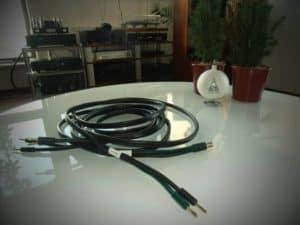 Perkune audiophile speaker cables three meter – price EU 295 (including delivery). I like this weblog a lot! i think i will visit ur blog again! we think your information was much helpful for us! If you keep up the good work i’ll come back to ur weblog. Hi. Sounds like wonderful cables. Which amp was best, Audisflight three s or hegel h160? of my new Cables as Ludwig Hegel is testing now!